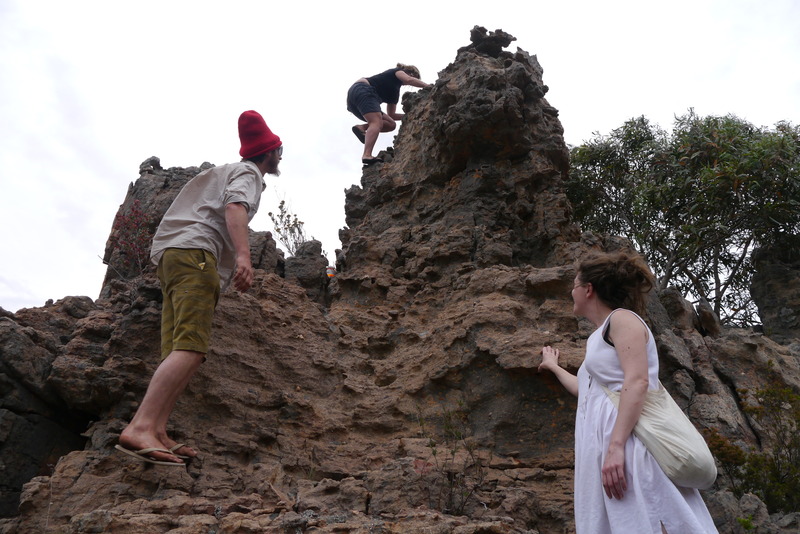 We also went on an exploration walk to parts of Mount Arapiles which you can’t climb with a rope, but you can walk up to the top and discover the undiscovered land which people rarely see. While we were up there it rained again so we spent some time looking for a cave or a crag we could shelter in. By the time we found something it had stopped raining enough for us to make the journey down and back to camp. 05 Nov	This entry was published on 05/11/2012 at 04:52 and is filed under Uncategorized. Bookmark the permalink. Follow any comments here with the RSS feed for this post.